“Holey schmoley”! This beautiful nuno felted silk scarf will attract attention wherever you go. 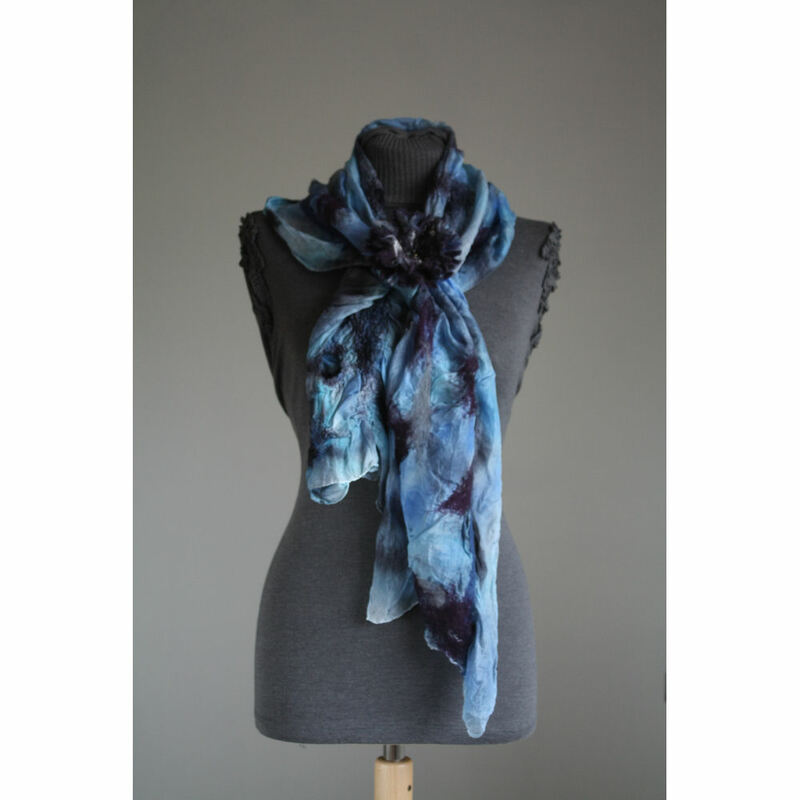 The silk scarf has been hand dyed in blues and purples. Grey, dark blue and sultry purple merino wool has been felted onto the silk, producing beautiful gathers and drapes. Cut out holes and delicatley sparkling angelina fibres produce another dimension of interest and texture to this already stunning scarf. Holey schmoley can be worn in many ways…. simply put on, and await the compliments! The flower corsage shown is not included, but can be bought from our corsage page.